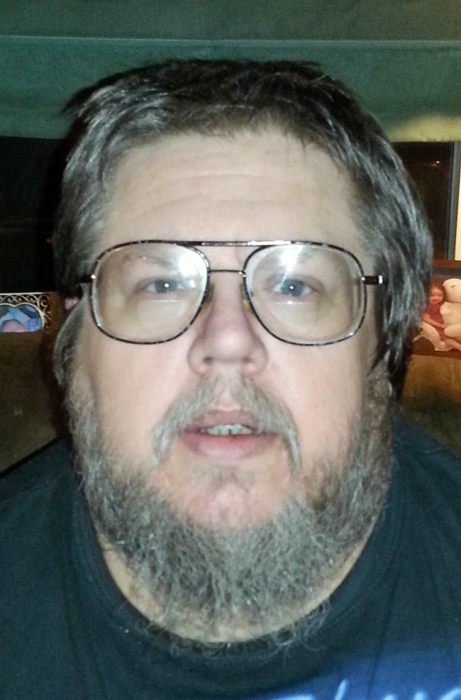 Bryan Dennis Irvin, 48, of Eldorado, Ill., passed away after an extended illness on Saturday, April 13, 2019, 5:11 a.m. at the Select Speciality Hospital in Evansville, Ind. He was born in Eldorado on the 20th of May, 1970. Bryan worked as a butcher and Kroger’s and the Eldorado Locker. He was also a member of the Raleigh Masonic Lodge #128. Bryan is survived by three daughters, Brittani and Rian Hatton of Eldorado. Sara Irvin of Harrisburg, Breonna Irvin and fiancé Jared Buchanan of Raleigh; his mother, Sheila and David Phelps of Eldorado; his father, Denny and Luann Irvin of Walpole; his maternal grandmother, Juanita Stevens of Raleigh; two sisters, Jennifer and Steve Trussell of Colfax, Bobbie Choisser of Eldorado; three grandchildren, Christian Morris, Hayden Buchanan, Brennan Buchanan; special niece Emerson Trussell of Colfax and several other nieces and nephews. Visitation for Bryan will be held on Saturday, April 20th from 4 p.m. until memorial service time of 5 p.m. at the Colonial Terrace Funeral Home in Eldorado. There's still time to send flowers to the Visitation at the Colonial Terrace Funeral Home & Crematory from 4:00 PM to 5:00 PM on April 20, 2019.